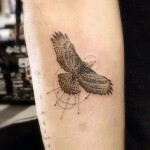 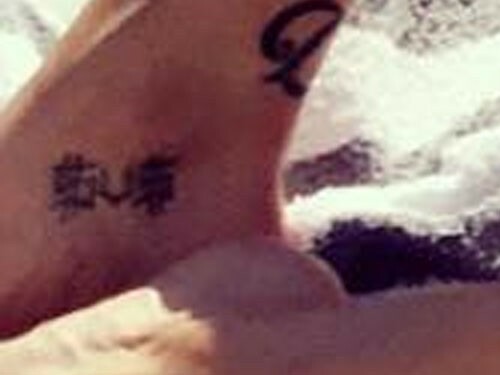 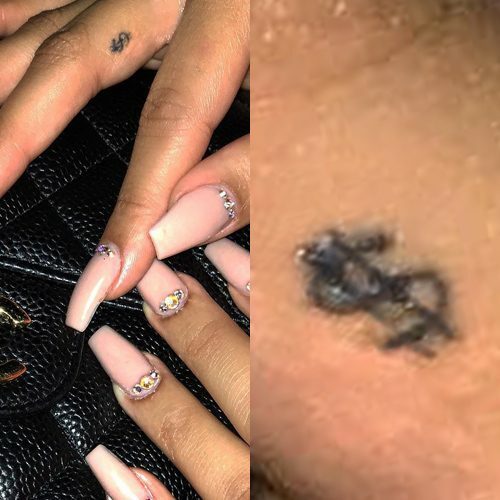 Kesha got this dollar sign tattoo early in her career. 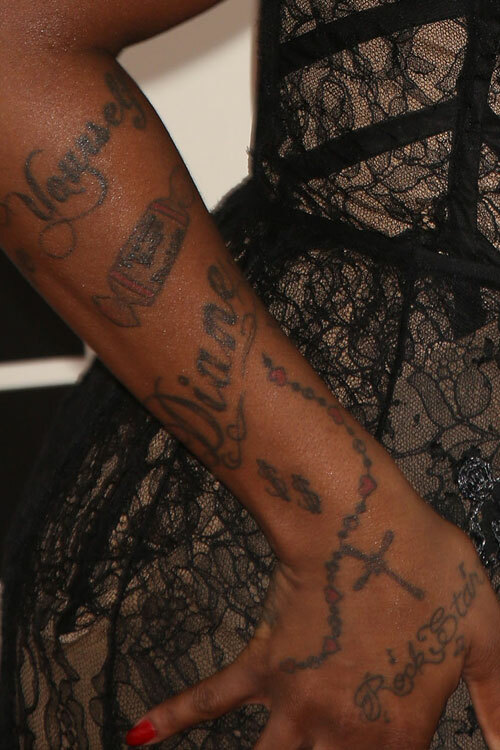 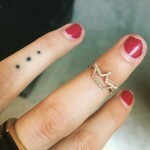 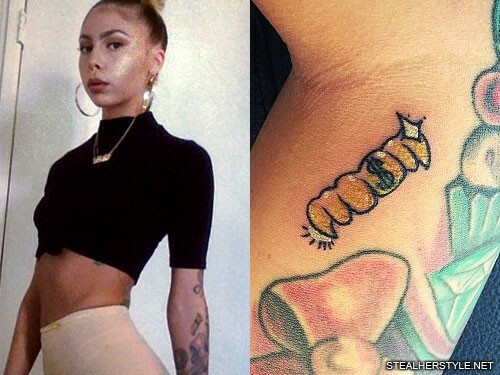 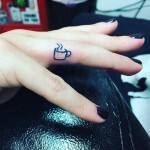 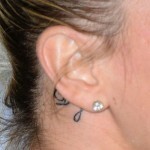 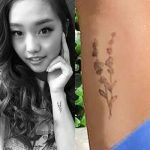 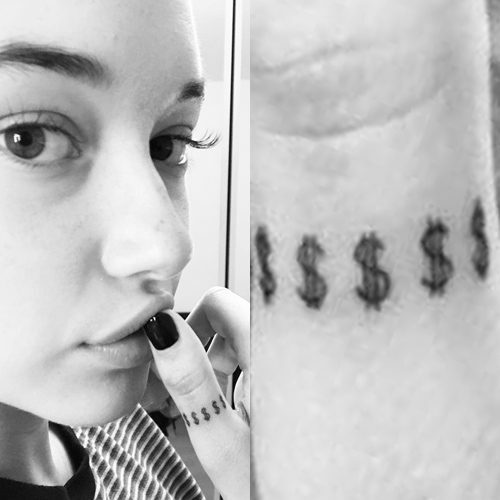 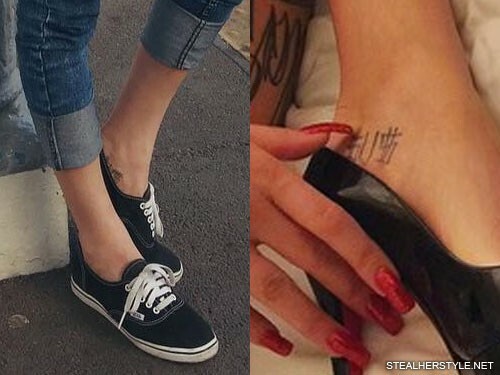 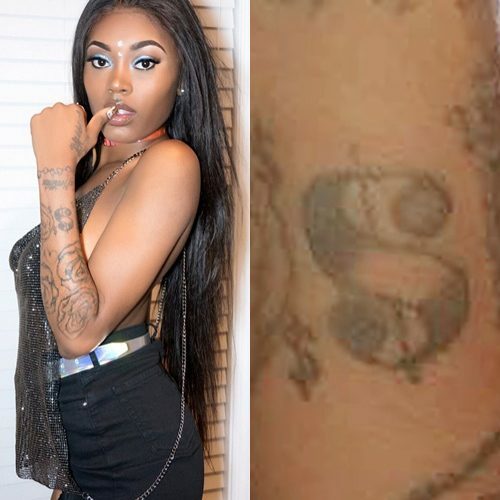 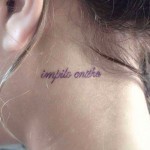 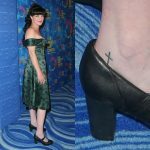 The dollar sign in her name actually came from her tattoo which symbolizes her lack of money at the time. 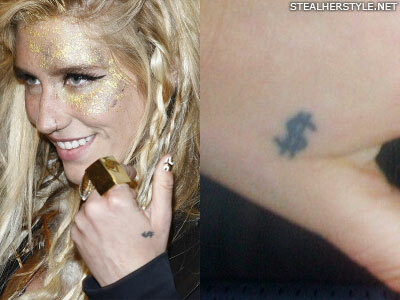 She stylized her name as Ke$ha for many years. 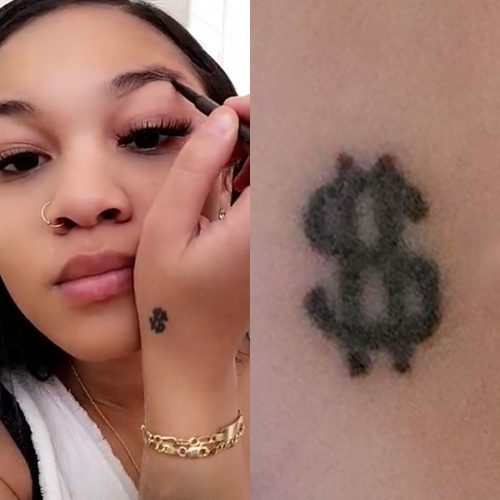 After she left rehab in March 2014 she turned over a new leaf and dropped the dollar sign from her name because she felt that it represented her old self.